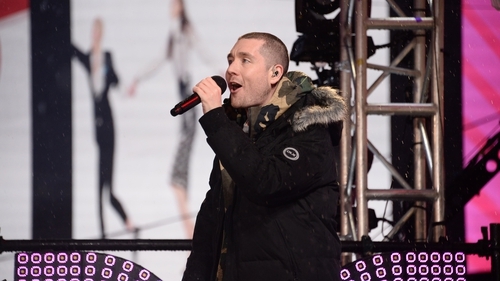 Dan Smith of Bastille performs on New Year's Eve celebrations in Times Square. Irish Sea weather conditions have obliged Bastille to cancel their sold-out Olympia Concert in Dublin tonight, Sunday January 27. "We’re gutted that our gig in Dublin tonight has had to be postponed, " the band declared in a statement. "We’ve been trying everything possible in the last 24 hours to get the tour trucks and buses to Ireland, but the bad weather has meant all ferries have been cancelled and none of our gear will be able to make it in time. "Huge apologies to everyone with tickets and anyone who’s travelled."